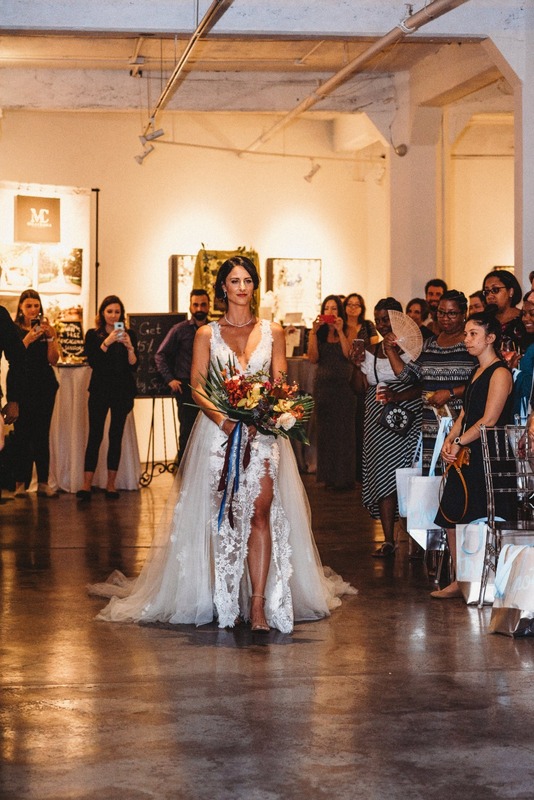 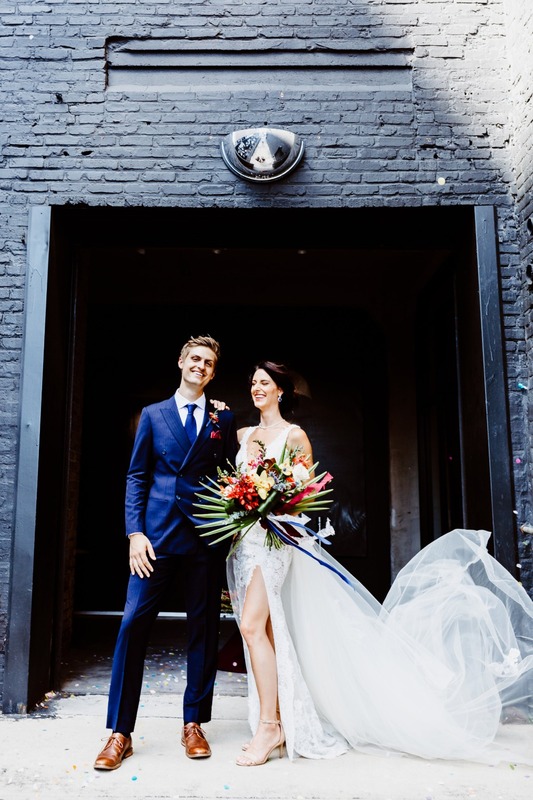 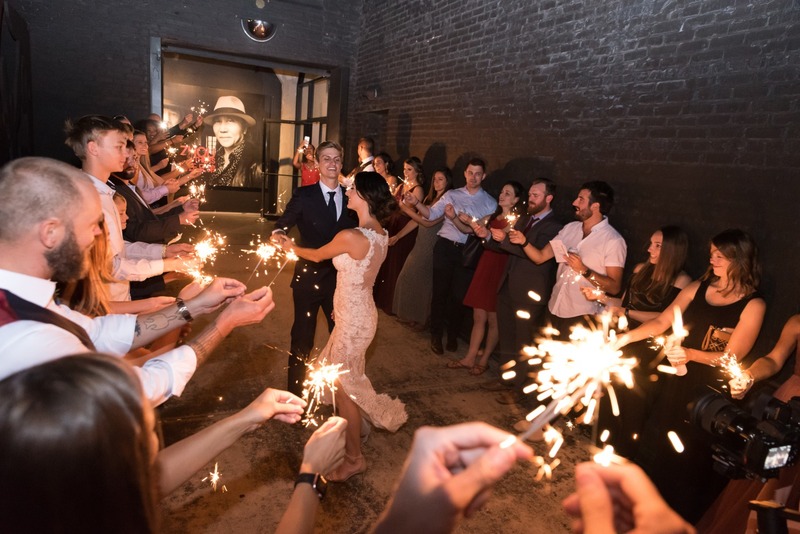 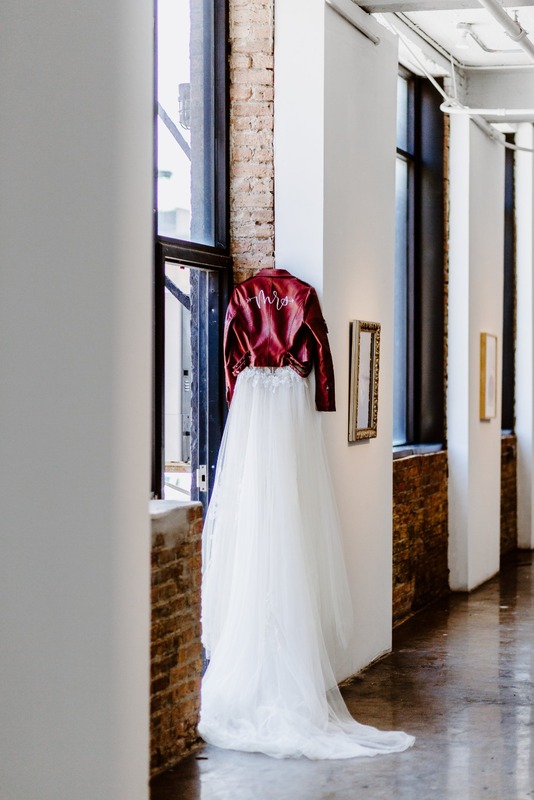 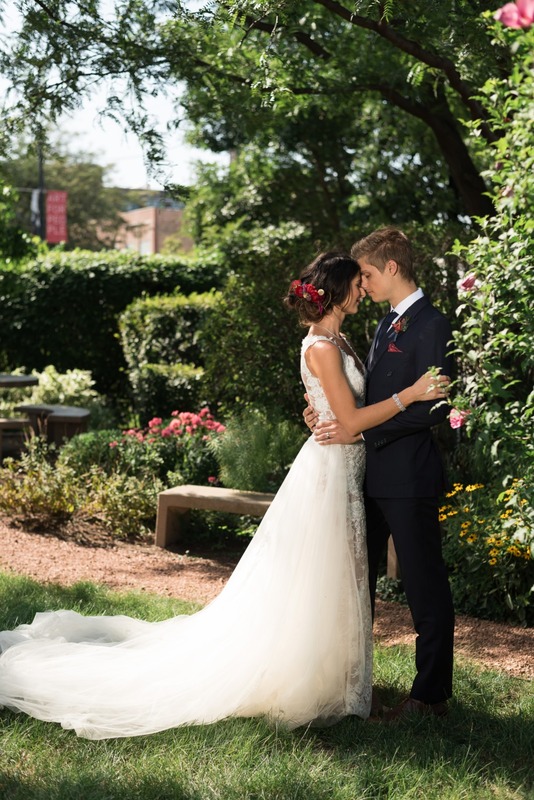 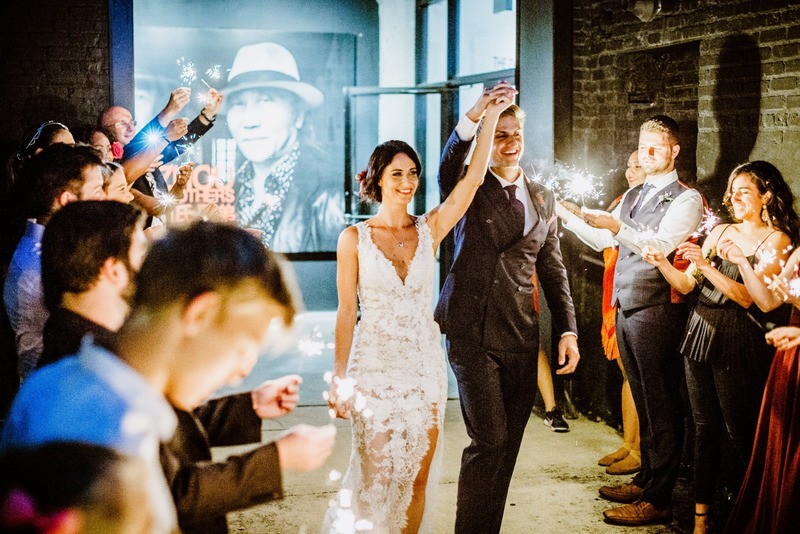 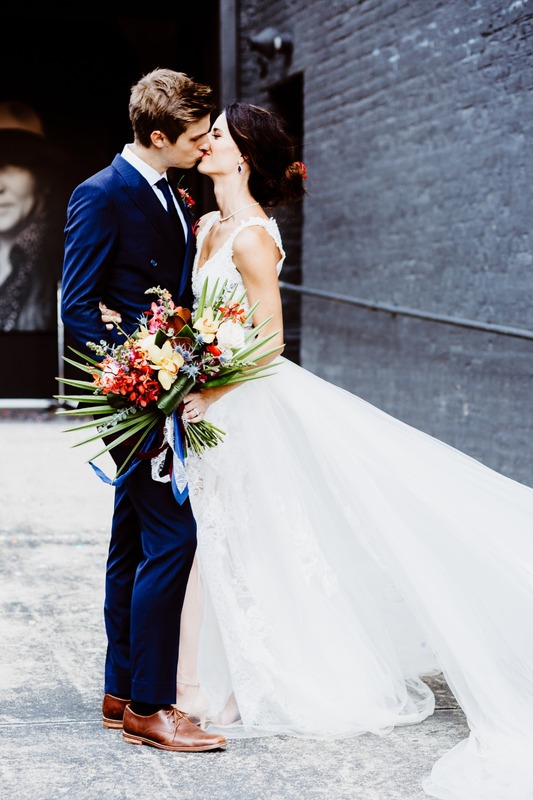 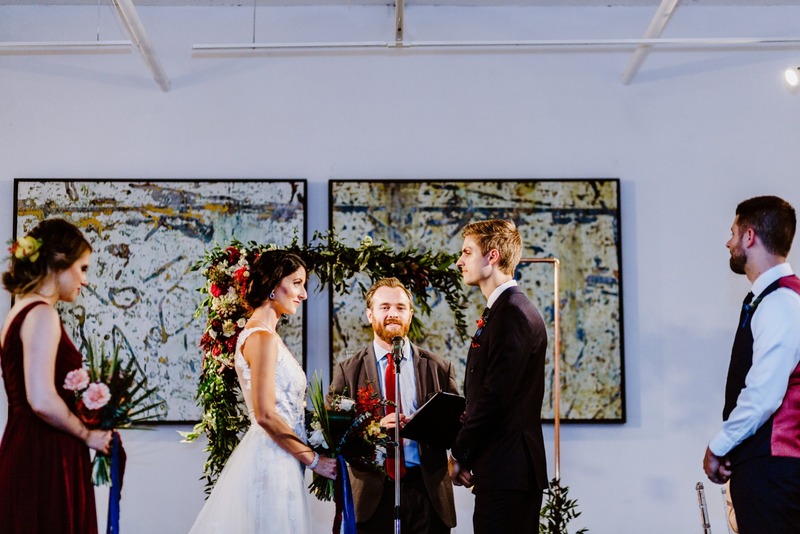 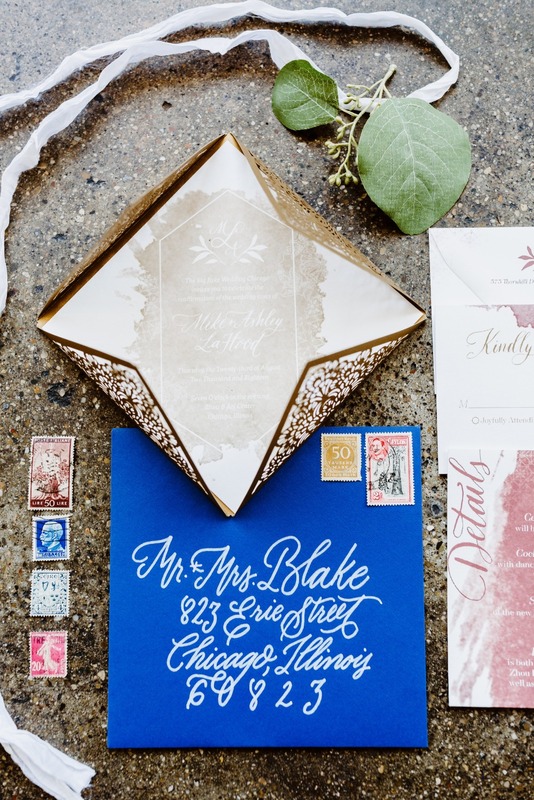 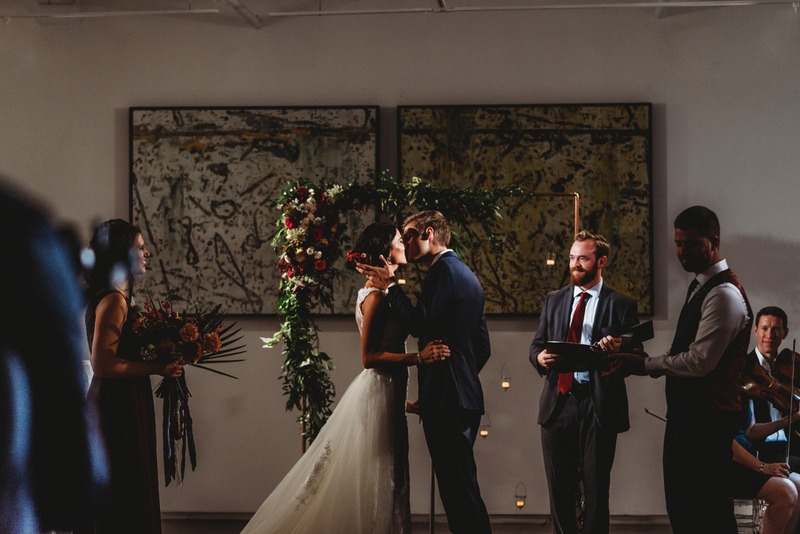 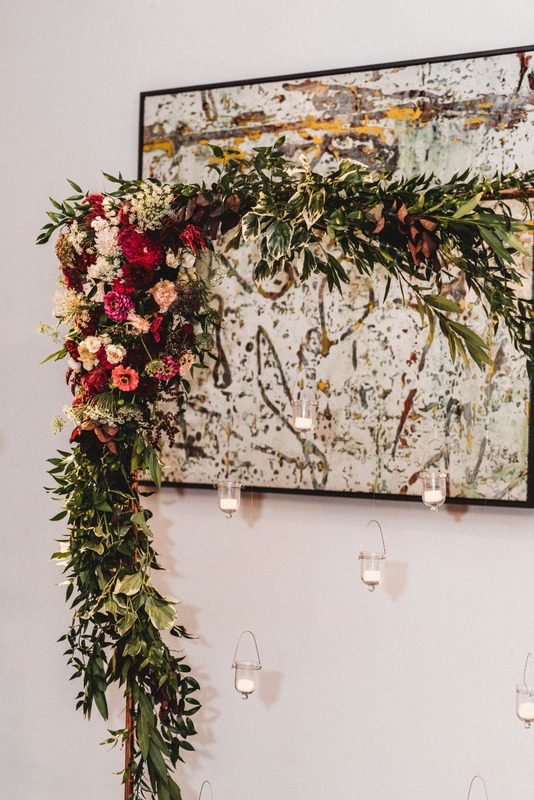 A love for art, history and family tradition is what brought this next fabulous wedding day to life; oh, and some of Chicago's finest wedding vendors too! 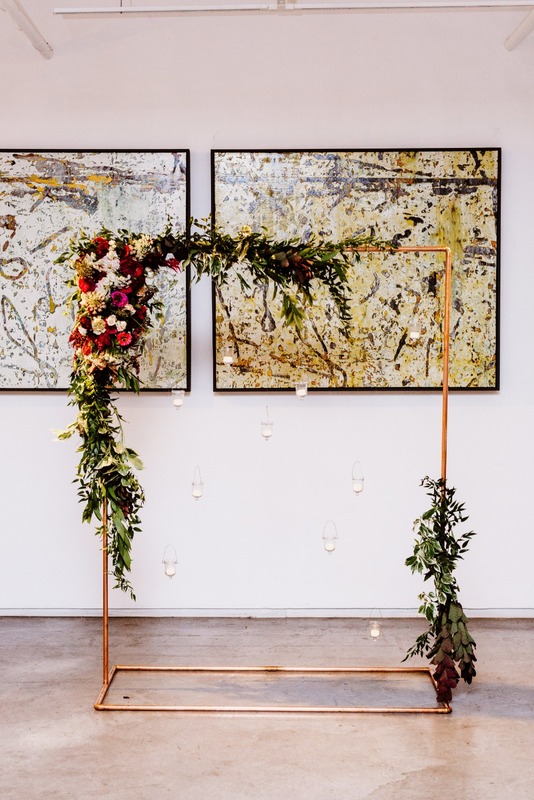 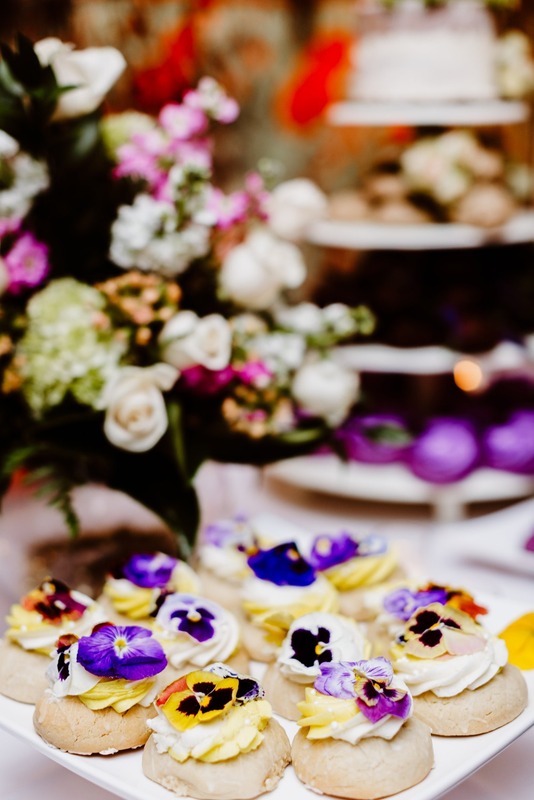 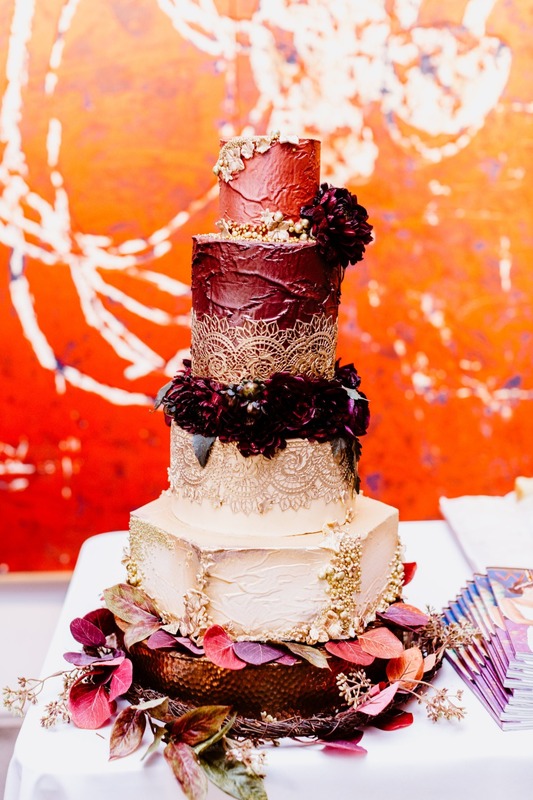 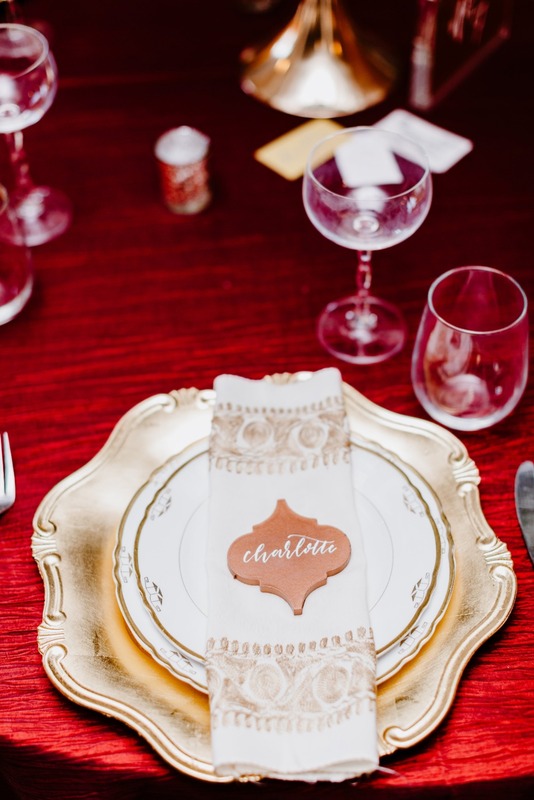 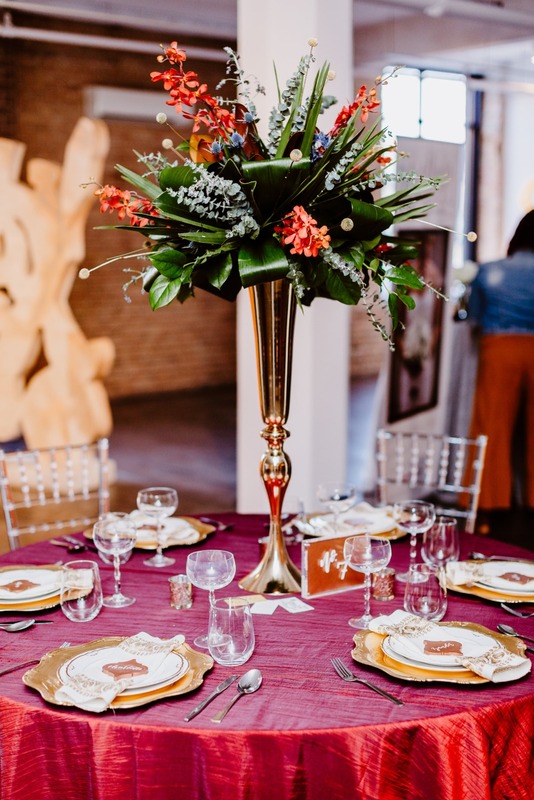 We teamed up with Big Fake Wedding once again to bring you a wedding day chock full of fabulous, rich colors, and intricate details that we could honestly stare at for hours. 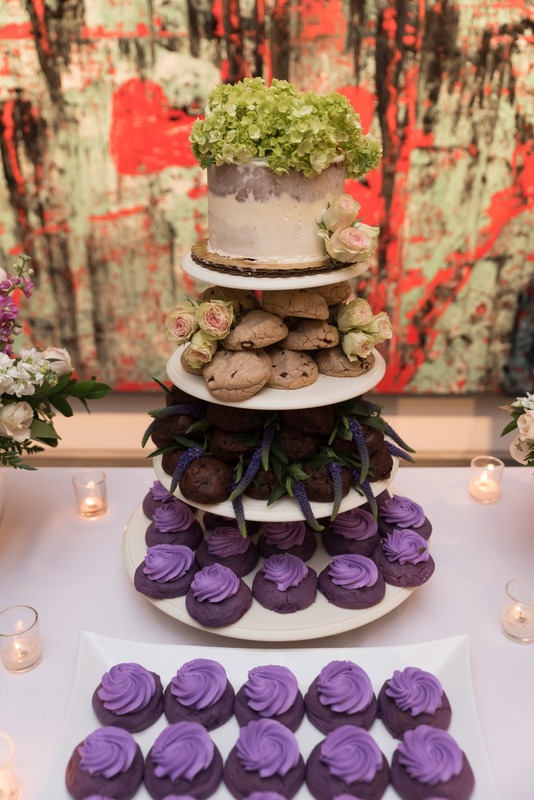 Which is why it makes perfect sense that they chose to borrow the Zhou B Art Center for this event. 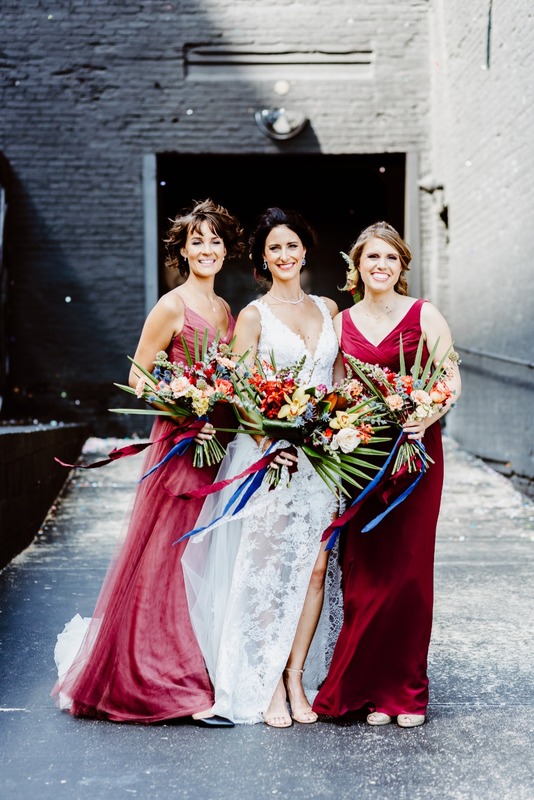 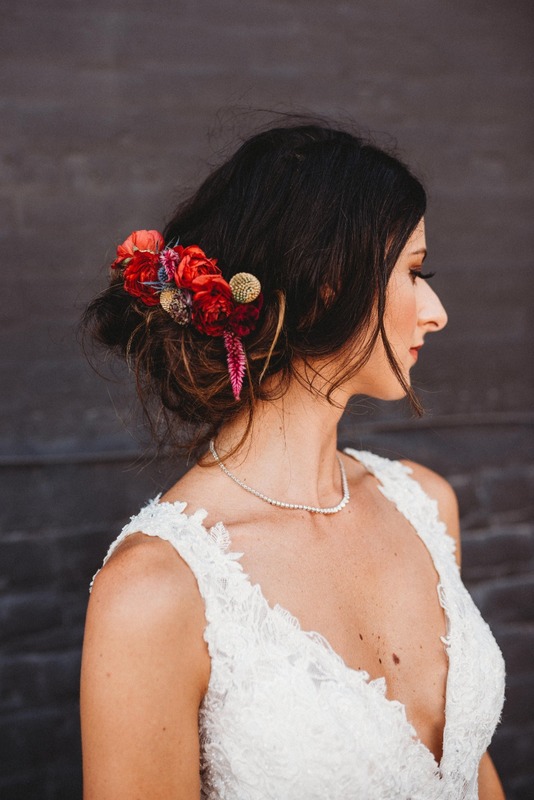 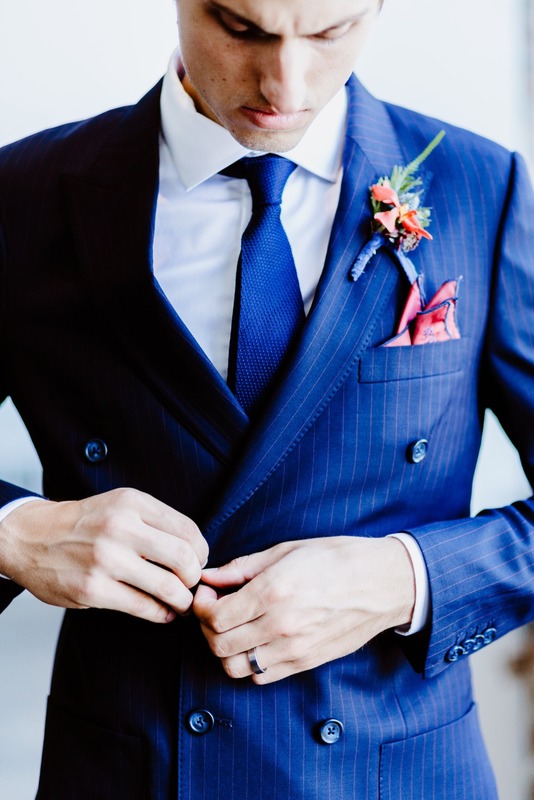 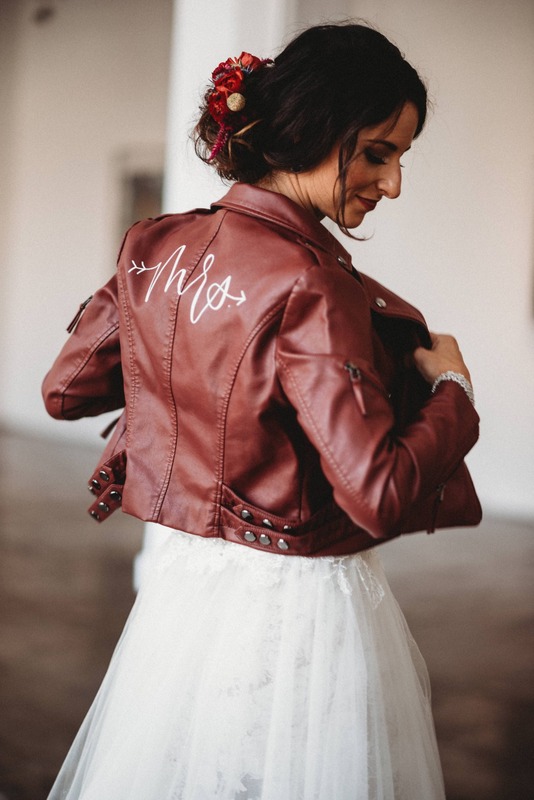 Keep scrolling to see more and don't forget about the full gallery of photos from Elizabeth Greve Photography, Mila Craila Photography, and Thais Photography. 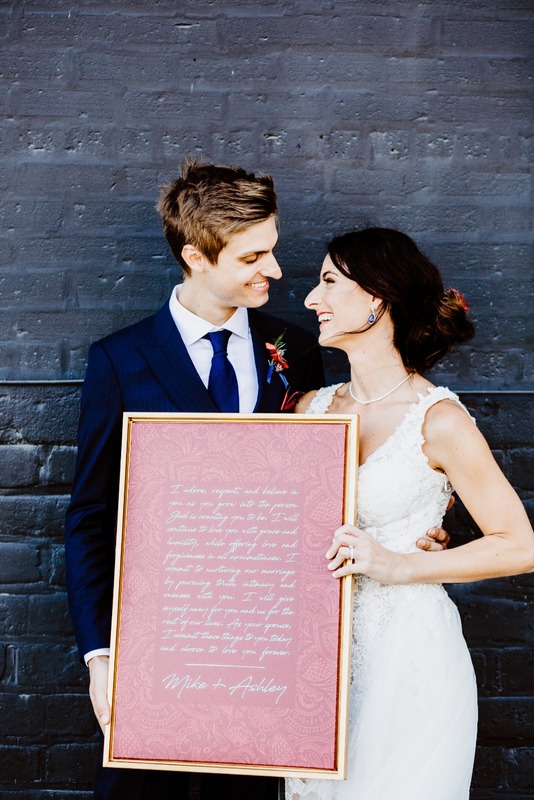 This Bride and groom take “tradition” to heart. 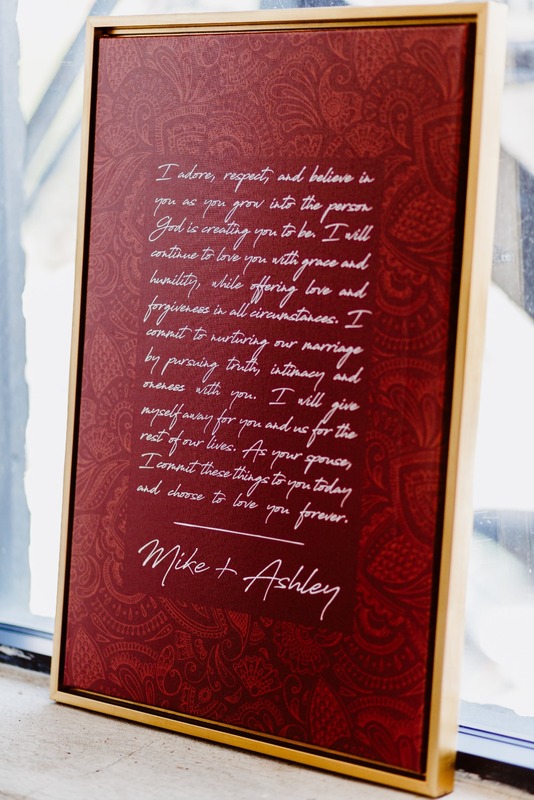 Family and sentiment are extremely important to them and they wanted to infuse their day with the love and passed-down practices of their families. 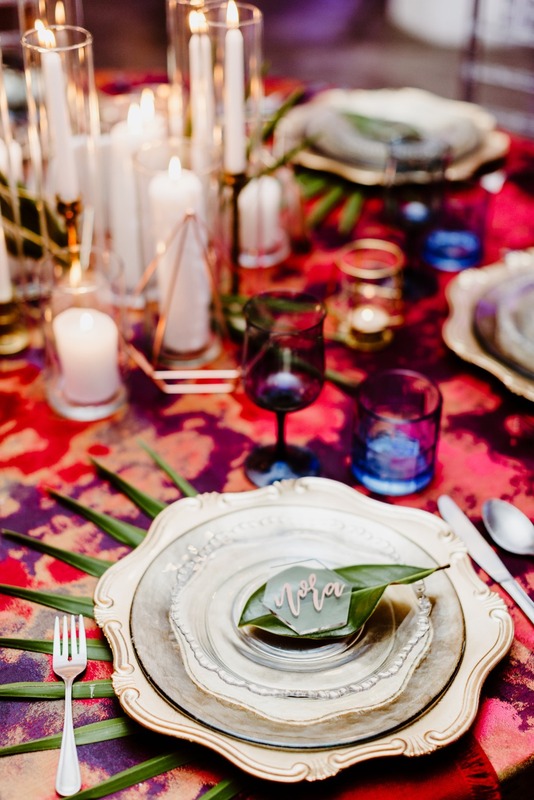 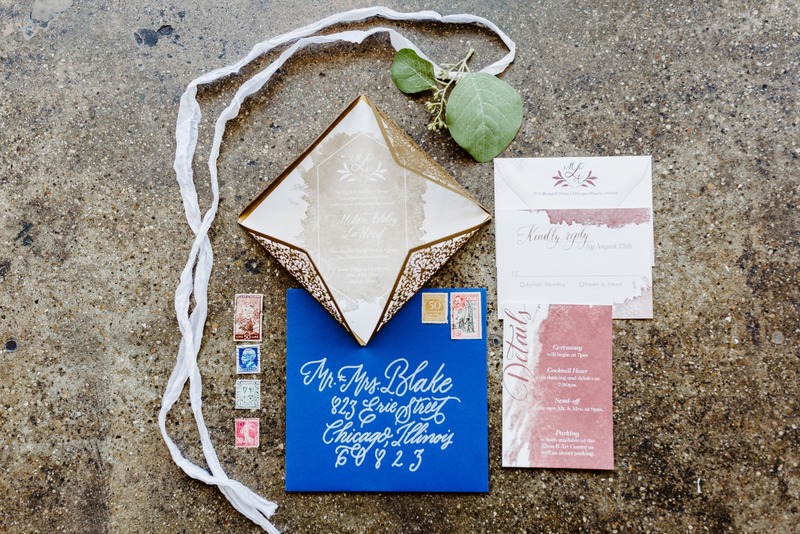 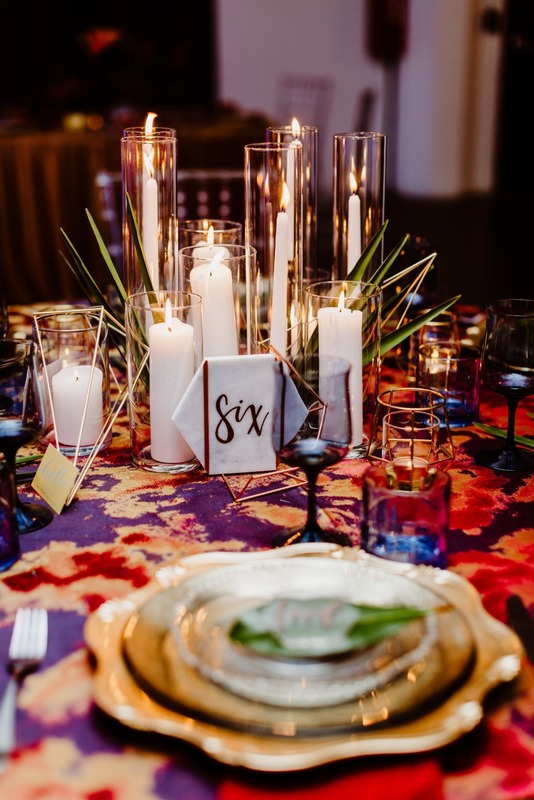 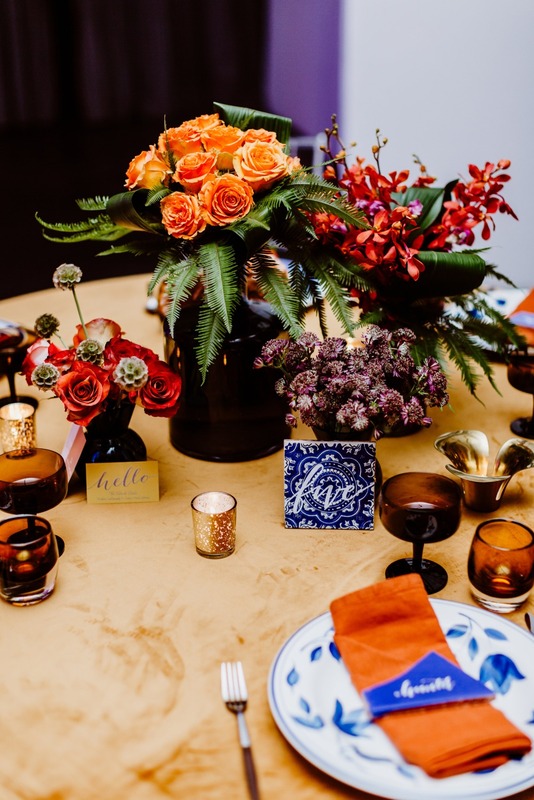 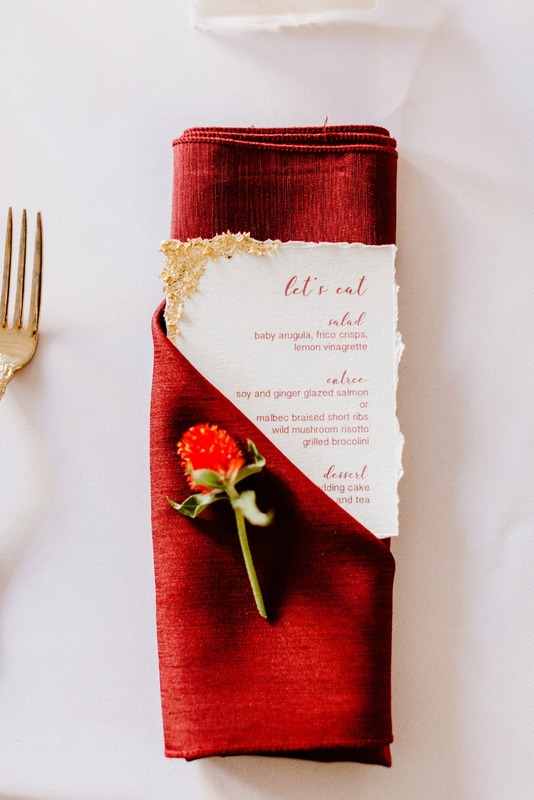 Vendors made use of deep, rich color, intricate pattern, and mixed metals to convey a worldly but refined design that allows the meaning of the day to shine. 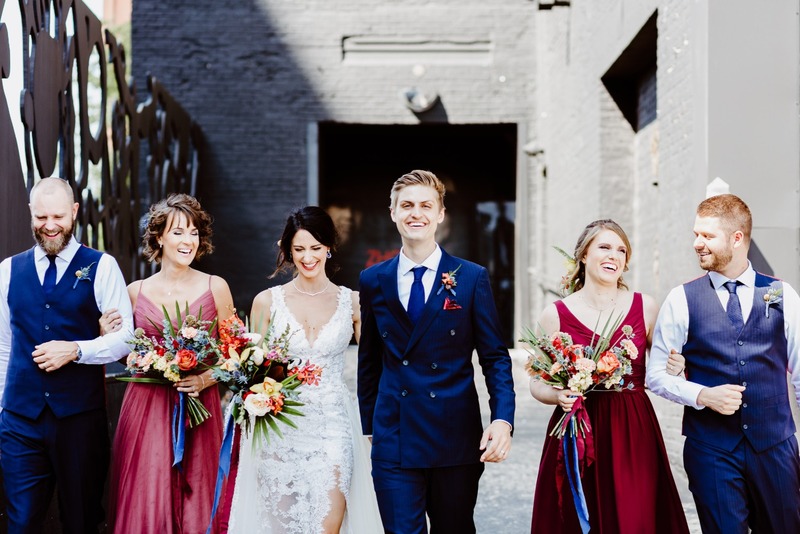 Get a closer look at this Modern Traditional Wedding day with this film created by Eyework Studios.